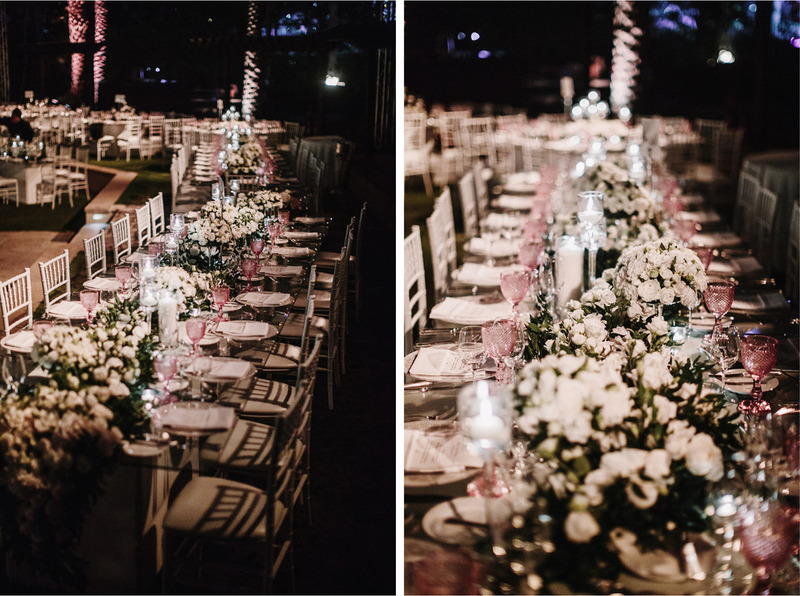 Timeless and classic with an edge, this wedding took place in the amphitheatre of the One & Only Royal Mirage hotel. 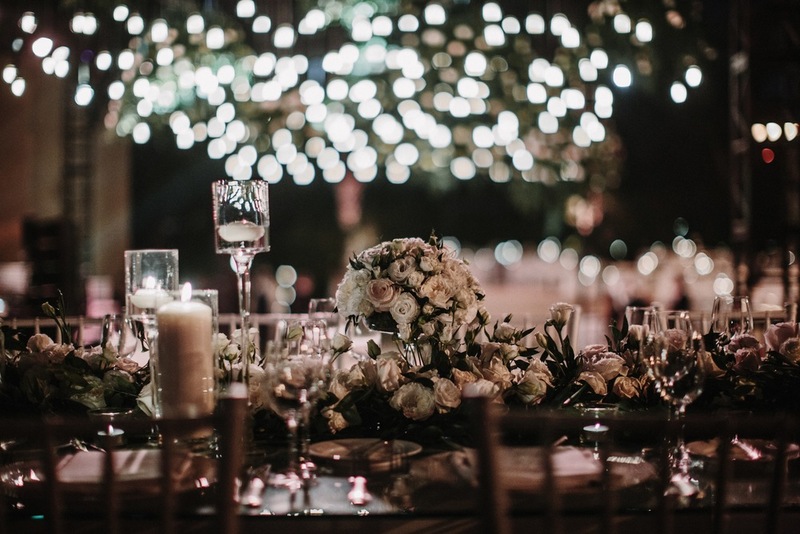 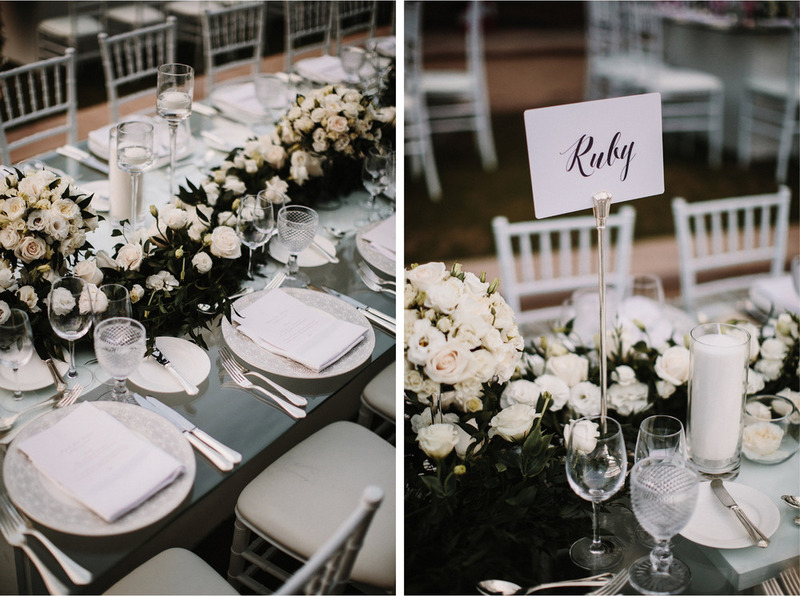 Glass tables were the perfect backdrop to the white rose centerpieces that covered the table tops. 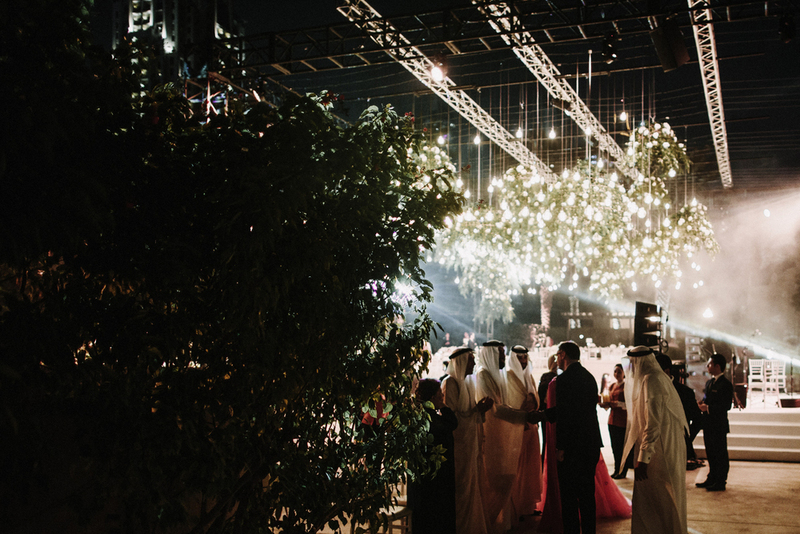 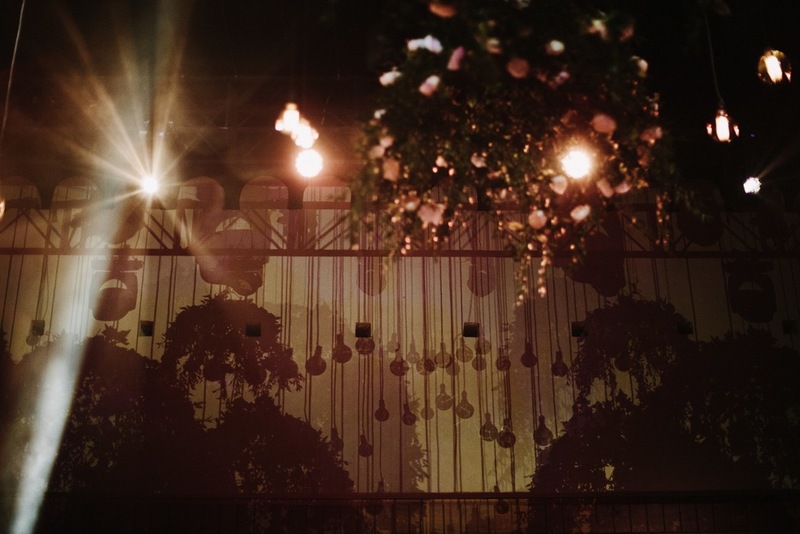 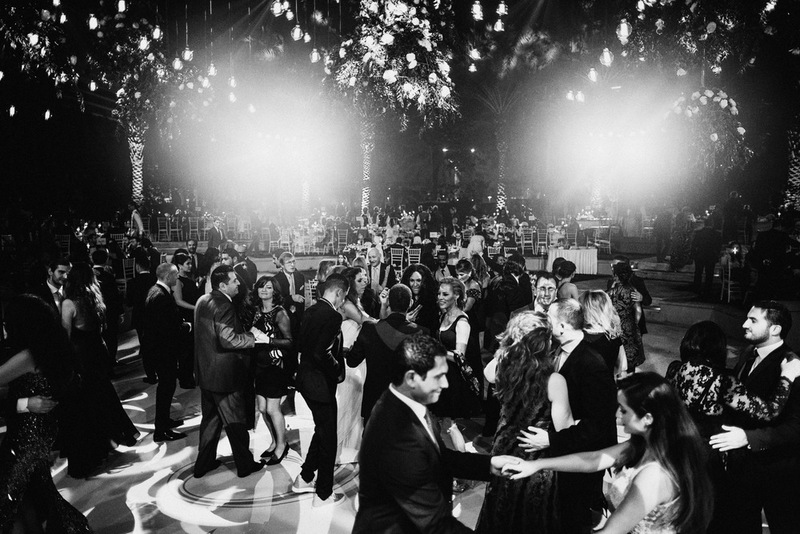 Hanging roses, ivy and hundreds of light bulbs created a spectacular ceiling over the monogrammed dance floor. 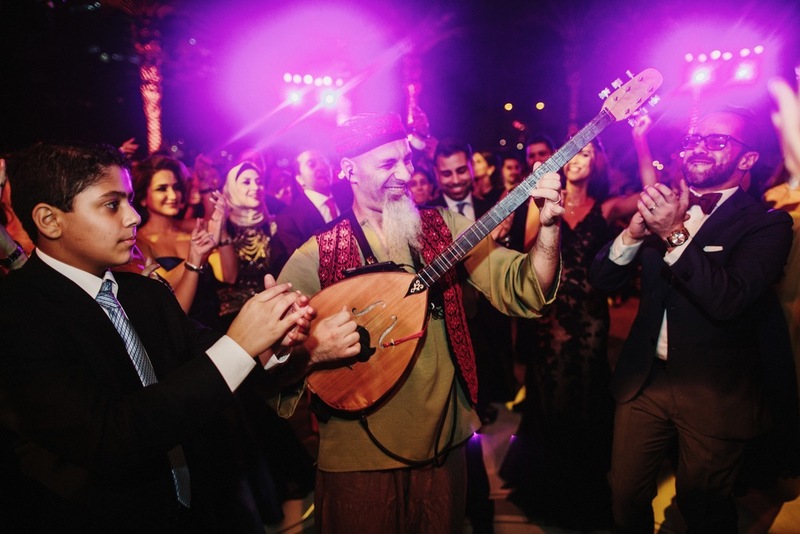 The bride and groom had their first dance - Amore de Mis Amores - performed by a Gypsy band followed by a high octane performance by the infamous Palestinian folkloric act - the Chehade Brothers.